Hyundai is moving into expanding sectors of the UK car market with the Matrix, a mini-MPV with a good standard specification at a price level designed to undercut most of the opposition. With the backing of Hyundai's five-year warranty, it has many of the features that buyers in this segment are looking for. Designed with a demanding market in mind, the Matrix makes the most of its size. 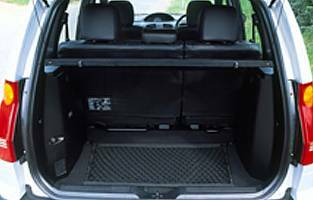 The overall length is somewhat shorter than many of its rivals in the mini MPV class, but its tall, square body creates a lot of interior space. The deep side windows and windscreen also allow plenty of light into the cabin, while the high seating position gives all occupants a good view out without compromising the generous headroom. Some buyers may find the inevitable downside to this approach is the exterior appearance of the Matrix. Although it proudly displays the badge of the famous Italian design house Pininfarina, the Matrix has a boxy appearance, not helped by the 15-inch alloy wheels, which look too small for the height of the body. This may well be a deciding factor for some buyers, although those who have no issues with the exterior design are benefiting from a roomy and practical interior. Driving the Matrix is a painless experience, thanks to well-engineered mechanicals. The 1.6-litre petrol engine is sufficiently refined and delivers enough power to make light work of most journeys. With a full compliment of passengers and luggage it does struggle a little, so buyers who will be doing more of these journeys may want to consider the larger petrol or torquey diesel options. 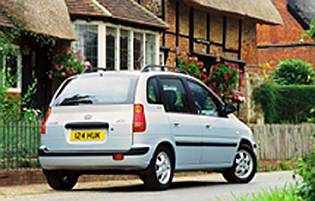 Buyers may also be attracted to the Matrix because of its good standard specification. 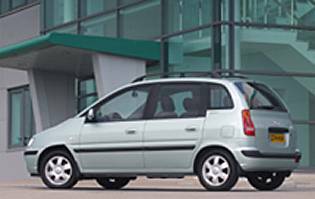 Even the entry-level GSI model is well equipped, and there are few options available even for this model. Although the Matrix is not available with a conventional satellite navigation system, it is available with a Trafficmaster route guidance system, which uses a call centre to transmit guidance information to the vehicle. 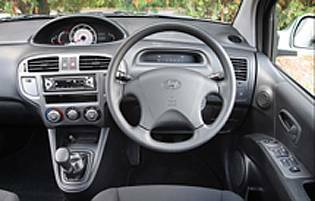 It might be at the top of your list, but Hyundai's Matrix deserves a long, hard look if you're in the market for a compact MPV boasting more than average levels of space. It's good value, too, especially if you factor in Hyundai's generous warranty. While it might be the most stylish car on the block, the Matrix is more than just another Far Eastern lightweight.